On this page, you can find an overview of our luxury gulets in Croatia for different price ranges. We choose a selection of 7 luxury gulets that we recommend according to the different budget ranges. This is just an introductory overview. There are more luxury gulets out there for you to explore. 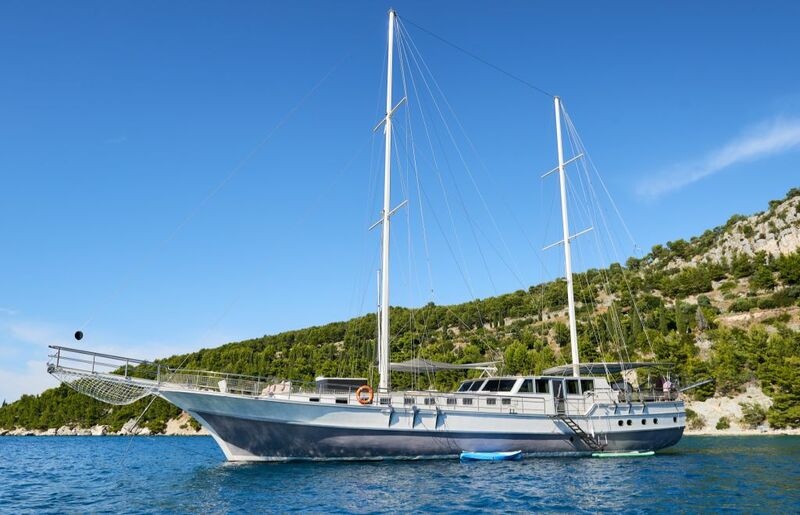 You can further browse our gulet fleet in Croatia and Montenegro. 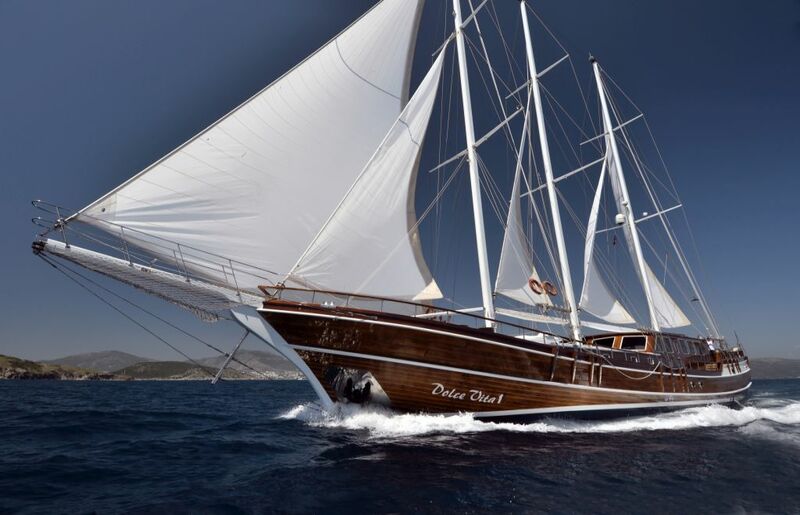 Gulet – motorsailer Cesarica is a new all-wooden luxury motor yacht, constructed in 2013 with the highest quality materials. It is very comfortable and spacious, with great food, friendly crew, and uncompromising customer service. 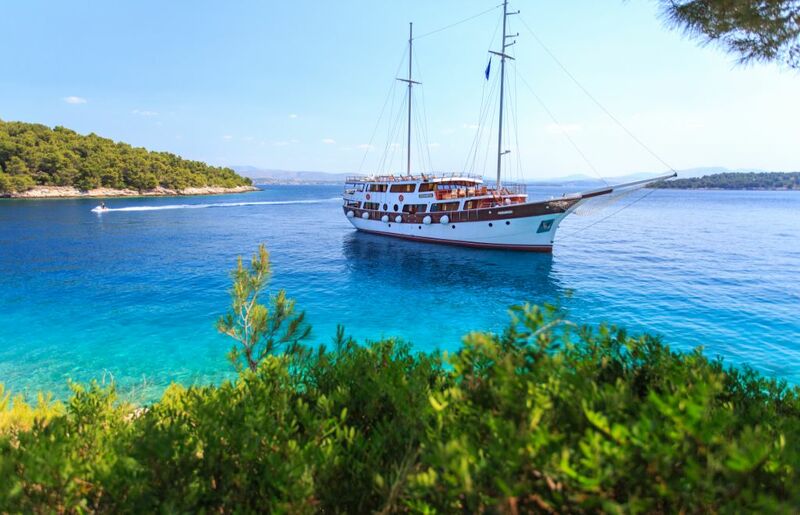 It is the only deluxe ship with 11 cabins in Croatia and it can accommodate up to 24 guests. The vessel has three decks with numerous boat features (outdoor bar, jacuzzi, a huge sundeck for sunbathing) and possibilities for water sports. Each of the guest can find something to enjoy. Dolce Vita is one of the most luxurious gulets in Croatia with five extremely comfortable cabins and offers spacious accommodation for 10 guests. The vessel also has a spacious exterior and big elegant salon with dining area, quality cozy sofas, and Jacuzzi on the deck. The ship is in a top notch condition, with very good food and high-quality service. With a range of leisure and water sports equipment, everyone will have a great time on board. 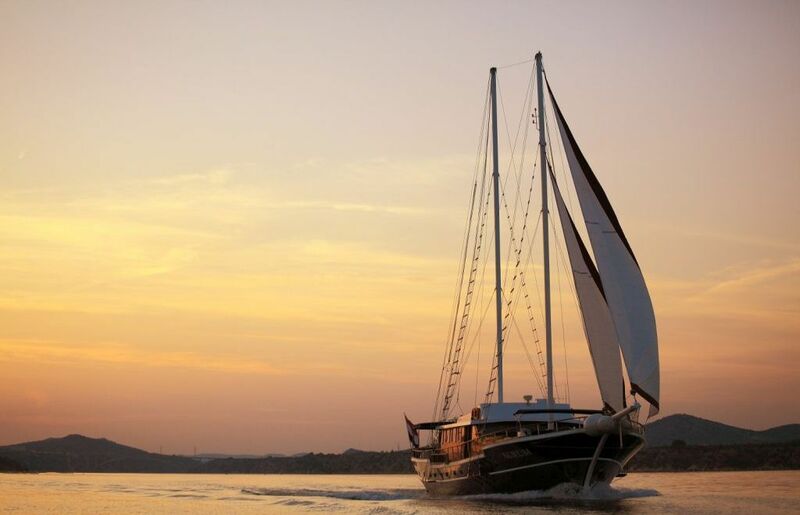 Gulet Aurum is luxuriously equipped for Mediterranean and Adriatic cruising. The vessel has 6 spacious, fully equipped and air-conditioned en-suite cabins that can accommodate up to 12 guests, comfortable lounge, big sun decks at the bow, and fly bridge with sitting area for total privacy. 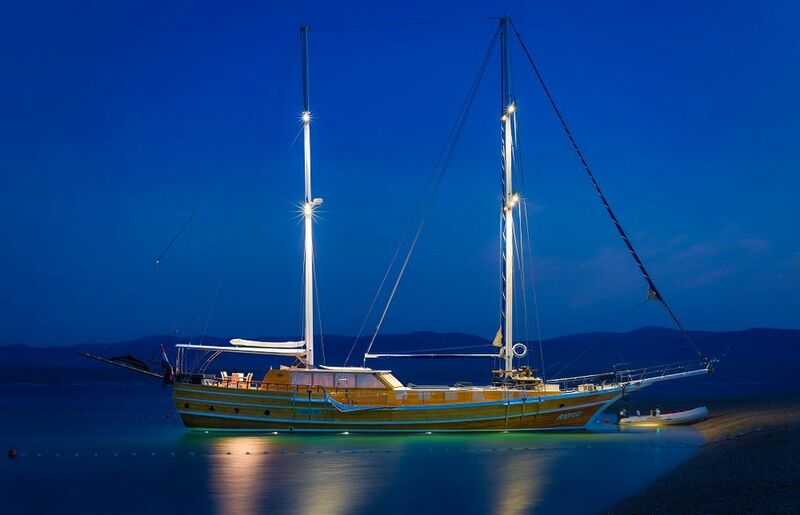 Accommodation on the gulet can be compared to staying in the most luxurious hotel. The crew’s mission is to guarantee the highest quality service during the cruise and make your holiday on the Adriatic a journey memorable for a lifetime. The gulet Andeđo (Angel) is probably the best-maintained gulet in Croatia. It was almost entirely designed and build by its owner Nikša and his family. The vessel has 5 cabins that can accommodate up to 10 guests. The owner really puts his heart and soul into this gulet and his customers. He is proud of the fact that a huge percentage of customers are repeated clients that return every year. 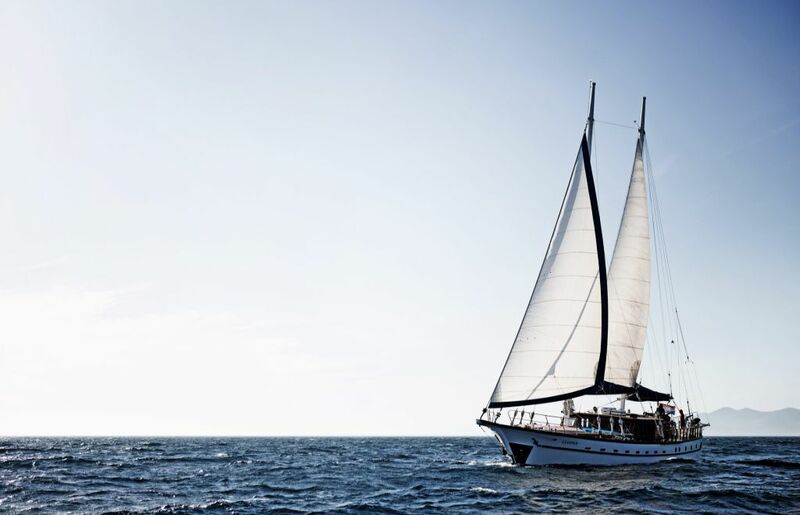 Several high-end clients cruised with this gulet and they all came back for more. One of the key factors besides perfectly maintained boat is the crew. Superb service and delicious food just add one last fine touch to complete excellent experience. It is not easy to get an available date on this gulet. Nautilus is gorgeous brand new 100 percent renovated gulet for season 2017. It is one of the biggest gulets in Croatia with a huge salon, comfortable jacuzzi on the deck, and 8 double cabins which can accommodate up to 14 guests. It also offers you lots of possibilities of using water sports. The crew of 4 will take care of all your wishes. You can expect great food and very good hospitality. Luopan is high quality yacht which provides lot of space for comfortable accommodation and leisure. Since she was originally built for private purposes, special attention was paid to wood quality with mahogany interior and iroko decks. The vessel provides very spacious accommodation for up to 8 guests in 4 air-conditioned, individually designed and tastefully decorated cabins with large bathrooms, quality shower tubs and a lot of stylish details. On Luopan, guests will be provided with completely relaxed atmosphere since the crew is devoted to simple, but important things in life: enjoying each day slowly, forgetting about busy life and stress, tasting light Mediterranean meals and lot of fun and relaxation.